Tue., 11 Jun. - Tue., 18 Jun. Wed., 5 Jun. - Tue., 11 Jun. Thu., 6 Jun. - Tue., 11 Jun. Tue., 4 Jun. - Tue., 11 Jun. Mon., 22 Apr. - Mon., 29 Apr. Sun., 2 Jun. - Mon., 3 Jun. Tue., 23 Apr. - Mon., 29 Apr. See all 909 properties in Pierre Elliott Trudeau Intl. 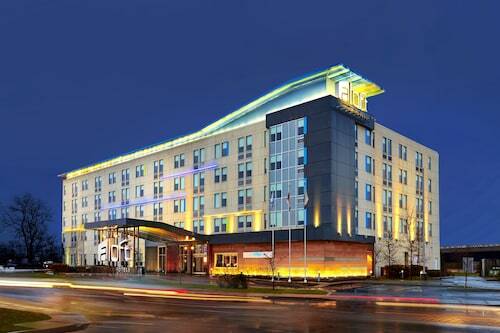 Situated in Dorval, this spa hotel is within 6 mi (10 km) of CAE, Lachine Hospital, and Bombardier Aerospace. Concordia University Loyola Campus and Place Vertu Shopping Center are also within 9 mi (15 km). Dorval Pine Beach Station is 19 minutes by foot and Dorval Station is 21 minutes. This Montreal property is situated close to downtown Montreal. Pierre-Elliott Trudeau International Airport is 0.7 miles away. Situated near the airport, this hotel is 3.1 mi (4.9 km) from CAE and within 6 mi (10 km) of Lachine Hospital and Bombardier Aerospace. Concordia University Loyola Campus and Fairview Pointe Claire are also within 9 mi (15 km). Dorval Station is 8 minutes by foot and Dorval Pine Beach Station is 17 minutes. 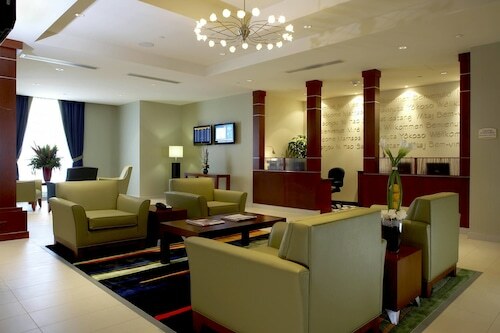 Situated near the airport, this aparthotel is within 6 mi (10 km) of Lachine Hospital, CAE, and Fairview Pointe Claire. Concordia University Loyola Campus and Bombardier Aerospace are also within 9 mi (15 km). Dorval Station is 12 minutes by foot and Dorval Pine Beach Station is 23 minutes. 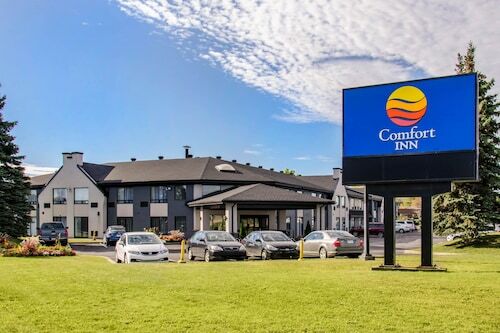 This business-friendly hotel is located near the airport, where area attractions include the Ecomuseum located in Sainte-Anne-de-Bellevue. Regional attractions include University of Montreal & Mont Royal Park. 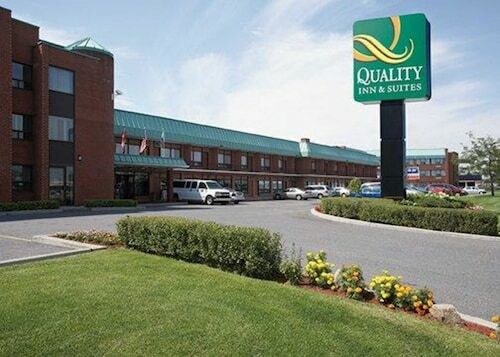 Situated in Dorval, this hotel is 2.5 mi (4 km) from CAE and within 6 mi (10 km) of Bombardier Aerospace and Place Vertu Shopping Center. University of Montreal and Concordia University Loyola Campus are also within 9 mi (15 km). Dorval Station is only a 5-minute walk and Dorval Pine Beach Station is 24 minutes. 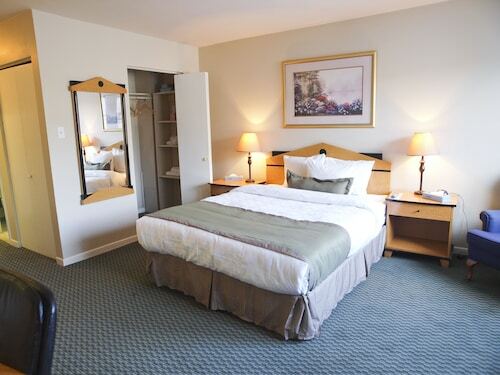 Situated in Dorval, this eco-friendly hotel is 1.9 mi (3.1 km) from CAE and within 6 mi (10 km) of Concordia University Loyola Campus and Lachine Hospital. Bombardier Aerospace and Place Vertu Shopping Center are also within 6 mi (10 km). Dorval Station is 16 minutes by foot and Montreal Lachine Station is 26 minutes. Situated near the airport, this eco-friendly hotel is 2.5 mi (4 km) from CAE and within 6 mi (10 km) of Bombardier Aerospace and Place Vertu Shopping Center. University of Montreal and Concordia University Loyola Campus are also within 9 mi (15 km). Dorval Station is only a 5-minute walk and Dorval Pine Beach Station is 24 minutes. Question : What is the cheapest airline flying from Larnaca to Montreal? Answer : Aegean Airlines is the leader in keeping prices down for their passengers over the next three months. 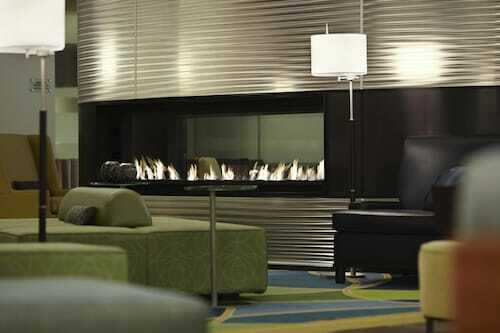 Bookings are being made at just $2,278, which is a good deal when compared to the more expensive bookings of $3,903. Answer : The cheapest day to fly from Larnaca to Montreal is on Tuesday. So, if you want to save some money on your next holiday look for flights on Tuesday. Question : How much is a plane ticket to Montreal (YUL) from Larnaca (LCA)? Answer : Prices can vary from $2,278 to $3,903. Booking far in advance can normally help you get the cheapest ticket. However, usually the sooner you book, the better price you get. Answer : Yes, you can adjust your departure or arrival date. If you would like to save a little cash in doing so, the cheapest day to fly in April is Tuesday. If you can go with the flow, you may just find that you can pocket some extra money that you can use for future trips. Question : How long do most people stay in Montreal on average? Answer : Of course, you're not most people, but if you were, you'd stay roughly eight days.